Aswat al-Iraq reports on reactions to the withdrawal of US combat brigades from Iraq in the southern Iraqi city of Basra. The head of the Basra Provincial governing council, Jabbar Amin, said that the American combat forces had withdrawn at dawn on Thursday, which would charge the Iraqi forces with their true mission, in strengthening security and stability. He pointed out that the Iraqi army had taken over the major combat role from American troops a year ago, and had principally been doing training since then. (Amin is from Islamic Mission Party = Iraq Organization, [Da’wa Tanzim al-Iraq], a branch of the party of caretaker prime minister Nuri al-Maliki). This point of view, representative of the current government of Iraq, stresses the ability of the Iraqi military and other security forces to keep order in the wake of the American departure. Husain Talib, a member of the Ahrar Party that supports Shiite cleric Muqtada al-Sadr, said that “The withdrawal of American troops from Iraqi soil, if it happens, is a tiding of good news for for all Iraqis.” He said that all the tragedies and the difficulties in getting services and the deterioration of the security situation were because of the US forces. He added that the security forces of Iraq would have forced an American withdrawal had they not been foreign agents or Baathists. (This is a slam at the Iraqi government of Nuri al-Maliki). This point of view, common among strong Iraqi nationalists, blames US forces for all of Iraq’s problems and so sees the departure of American troops as offering a better situation in and of itself. Note that an official of the Communist Party of Iraq is worried that the US is withdrawing too fast! 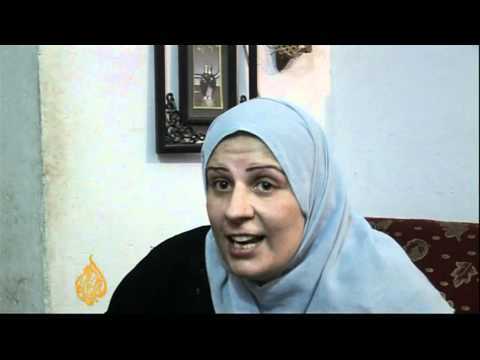 Aljazeera English reports on Iraqi reactions to the withdrawal of US combat troops, and finds the same anxiety and caution expressed by Abu Muhammad in a Sunni Arab woman of Adhamiya in Baghdad, who thinks it is irresponsible for US troops to depart before the Iraqi political crisis is resolved and a new government formed. Liz Sly of the LAT in Baghdad says that many Iraqis have misgivings about the timing of the US withdrawal and fear a descent into chaos, as their political elite proves still unable to form a new government months after the March 7 elections. She says there was no dancing in the streets at Thursday’s announcement. She does not quote the Sadrists or the Sunni nationalists, who are the groups most likely to be delighted, though also the groups most likely to entertain doubts about the reality of the withdrawal. Al-Hayat reporting in Arabic stresses that the anxiety about the combat troops leaving is especially severe in the northern, disputed city of Kirkuk. Kurds want to add it to their semi-autonomous region of Kurdistan but Arabs and Turkmen are resisting this move. Al-Hayat quotes some Kirkuk officials who plead for the US to make an exception and keep combat troops in the city.